The jury might be out on how much India’s startups have benefited from Startup India, but the government sure seems to have learnt a thing or two from India’s startups. 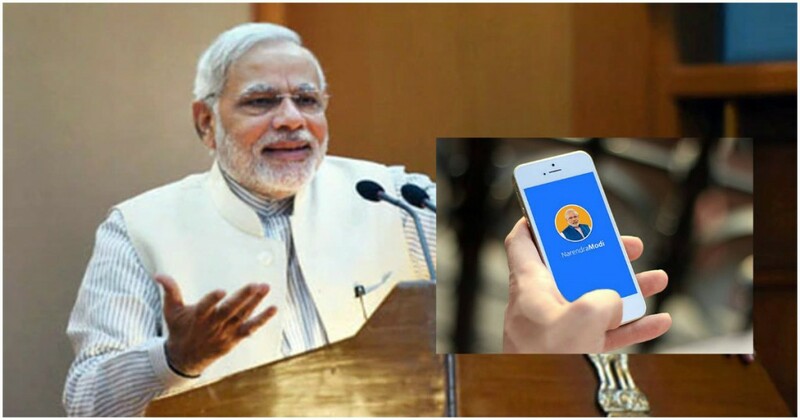 PM Modi’s Narendra Modi app, which has over 5 million installs and an overall rating of 4.6, is using referral codes to growth hack its way towards collecting donations for the party. Anyone making a micro-donation through the app — a sum between Rs. 5 and Rs. 1000 — will be given a referral code. They can then share this referral code with their friends and family through social media, and if they can get a 100 further people to donate to the party, they’ll get a chance to meet Prime Minister Modi himself. This is straight out a recently-funded startup’s playbook — quickly on-board a dedicated set of users, and then use their connections to grow the overall user base. But while startups usually have to give away discounts to get their initial set of users, the BJP is doing just the opposite — it’s hoping that PM’s Modi’s appeal will get users to actually pay them a small fee to join in. The ultimate reward, of course, is for users to get a chance to meet the Prime Minister in person. It’s a pretty clever idea — the Prime Minister is popular among the masses, and it’s not inconceivable that people will send out the referral links among their social networks, and urge other users to join in. This could create a nice, self-sustaining viral loop — if even a small set of the users who make donations end up referring 100 more people, the donation network could grow exponentially, enabling the party to rapidly grow its coffers. This isn’t the first time that the Modi goverment had relied on startup ideas for its schemes. When it had launched the BHIM app for UPI payments, it had given away cashbacks and incentives much like the other private players in the fray. And the government seems to have learnt a thing or two from startups in terms of the presentation of its achievements as well — we’d earlier written how the website listing out the government’s achievements over the first 48 months of its tenure looked more like a startup pitch deck than a government site. It’s still early days to predict if PM Modi’s growth hack will work. Given how the average person has 130 friends on Facebook, the 100 referrals required to get a chance to meet the the Prime Minister might be quite high, but the government will hope that ardent supporters will try to galvanize their networks to get more donations for the party. But regardless of how well the scheme does, it’s clear that the current government is looking to leverage the best ideas from the corporate world as it tries to run its own party, and the perhaps the country as a whole.